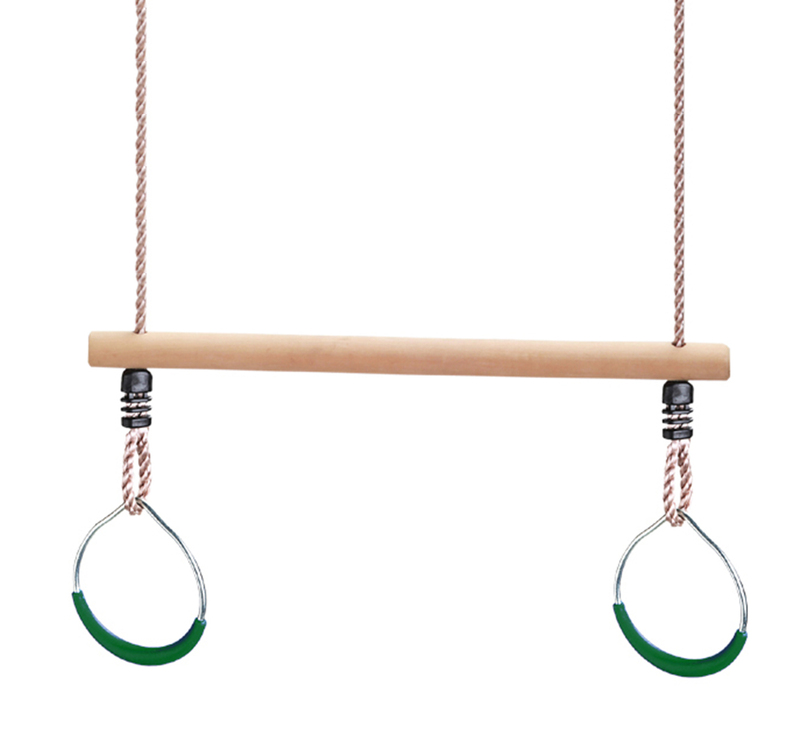 The trapeze bar with rings will bring your children's imagination come to life as they learn new ways to swing. 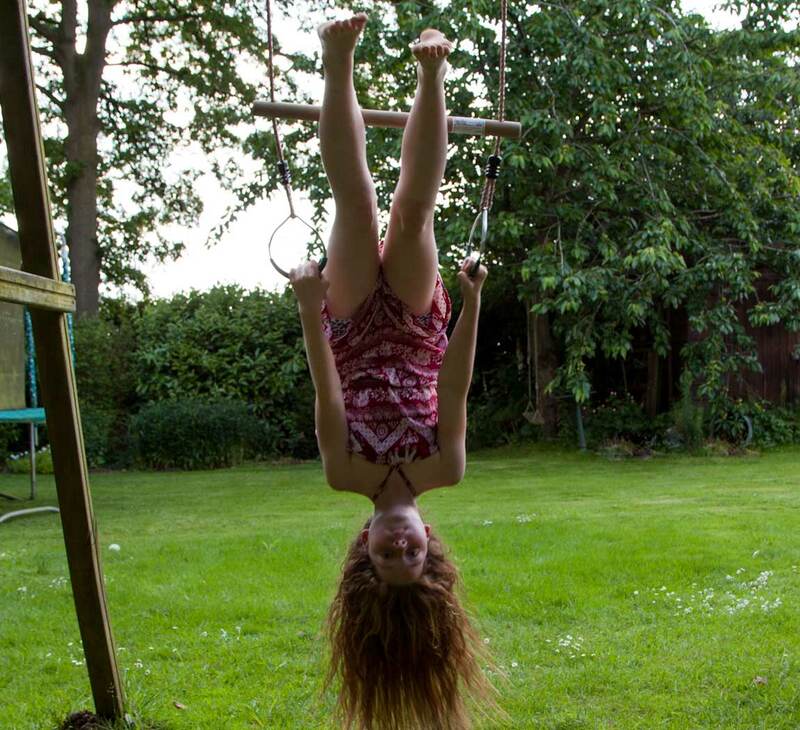 Imagine being a world-class acrobat on a high trapeze or a circus artist doing somersaults from a high beam. 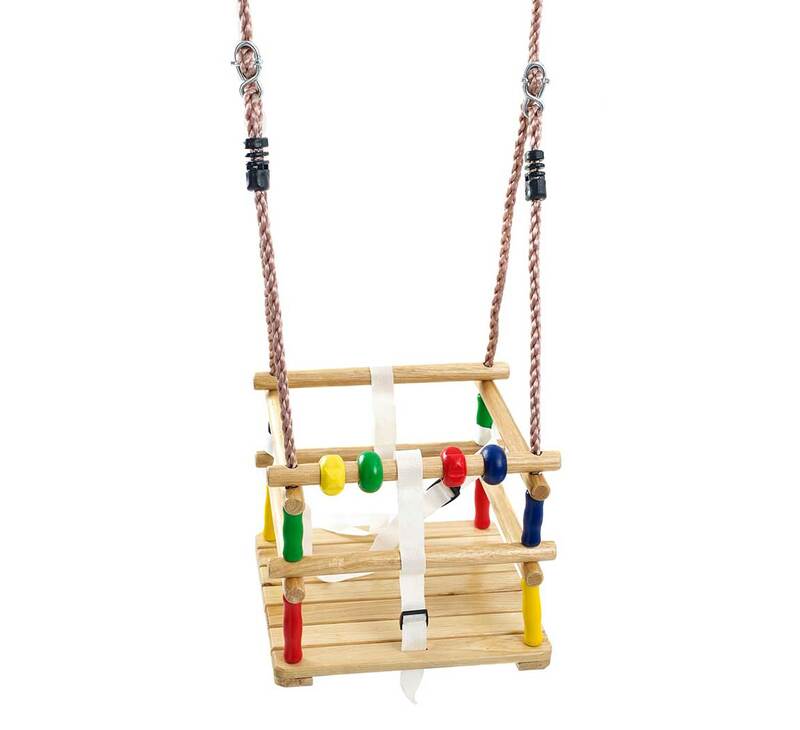 This accessory is perfect to challenge your children's imagination and abilities with a new way to swing. 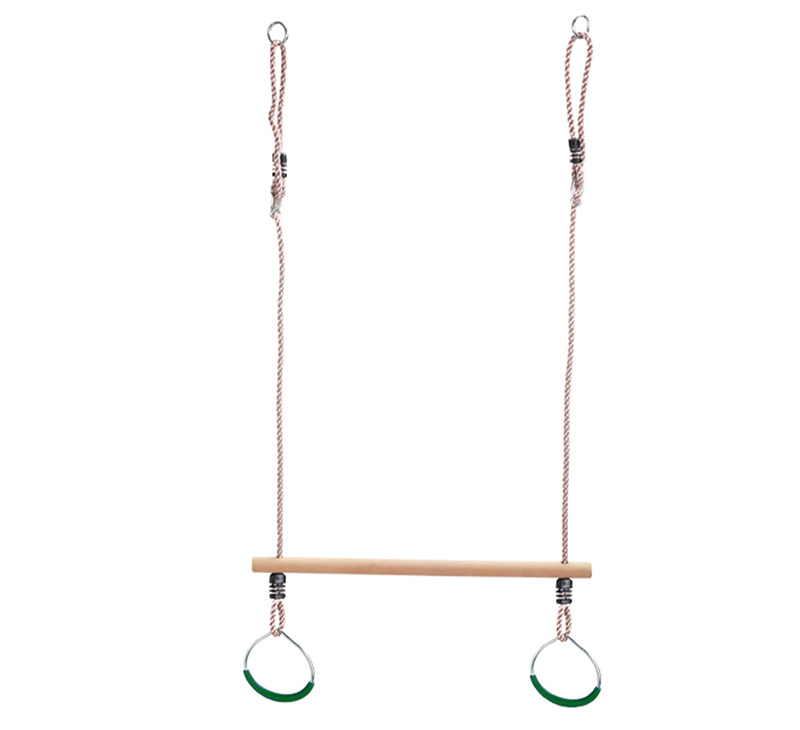 They can sit on the solid wooden bar, swing upside down or even use the rings to practise being the next Olympic gymnast. 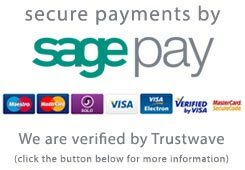 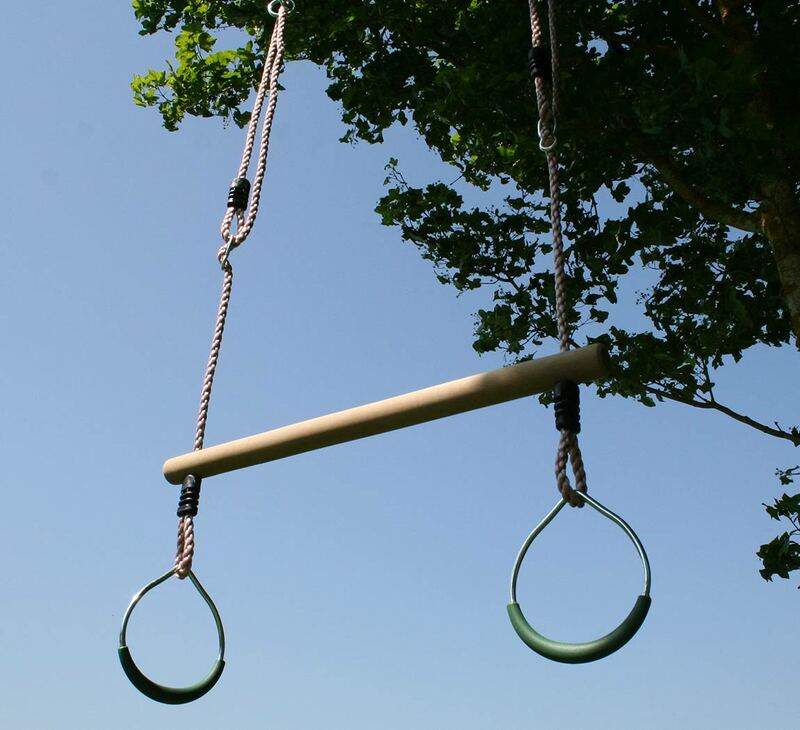 The trapeze bar is made from a high quality wood so will not splinter and hurt your children's hands and the solid metal ring are coated in a thick rubberised plastic coating so they will be able to grip the rings firmly. 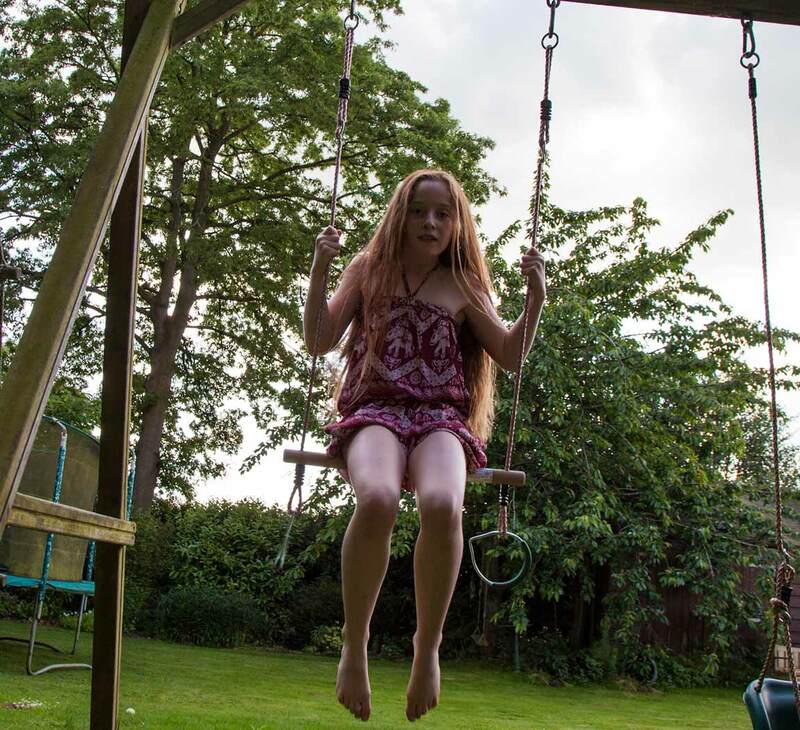 This trapeze will give new life to your swing, for a fraction of the price of most outdoor toys and is so easy to attach to your swing or climbing frame.. 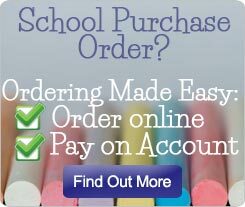 It will also stand the wear and tear of children as well as the elements. 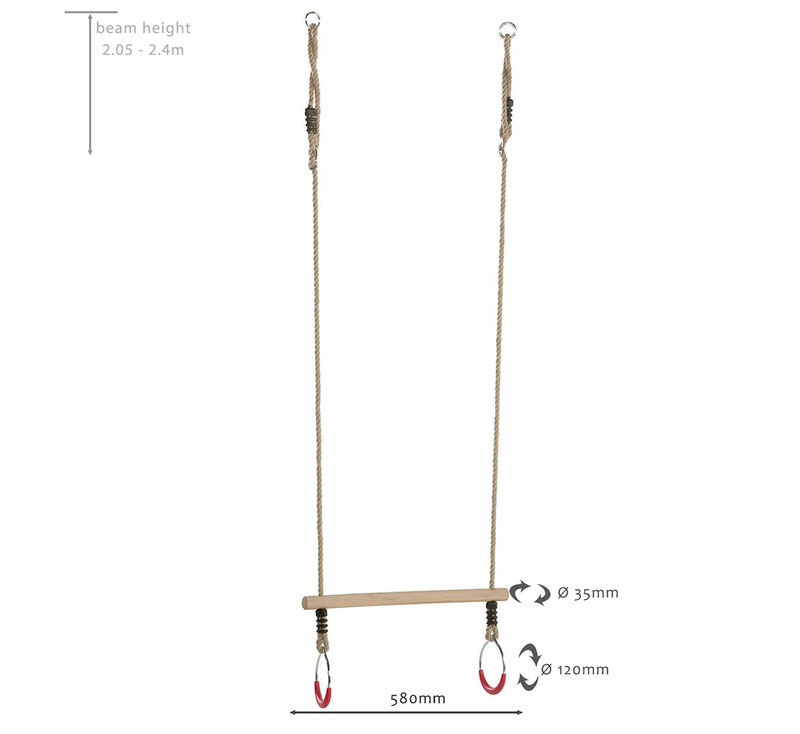 Made with high quality weatherproof rope which is tested to 200 kg breaking strain.